i feel like i need to explain the picture above since i told matt to take a look at it, and he gave me a look, the kind that would say, "that's 'different.'" 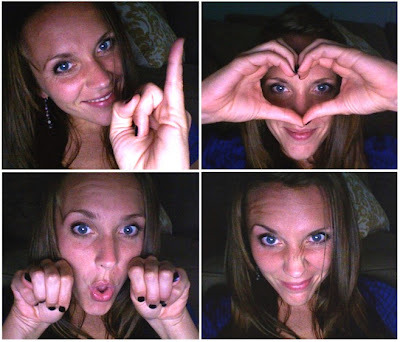 the first two pictures, "i" and "heart," are pretty self-explanatory, the third is (i thought) a pretty clever way of spelling "mom" using sign language and my mouth, and the fourth picture is a filler cos three would make the "piece" (makes it sound more important that way) asymmetrical. so there ya go, i totally killed the puzzle of figuring it out just in case you might think i'm slightly crazy. what a great day mother's day is, but as with many holidays, i think it's unfortunate that we need a specifically designated day a year to honor the mothers in our life. don't get me wrong, of all people, i think mothers deserve their own day, but i hope that i can show my mother more than once a year that i love and appreciate her so dearly. do you hear that mom? i miss you so much; thanks for being my best friend. please rub off on me so that when i finally bear fruit i can be a fraction of the mom you are, especially if i have infant children like me. but in all seriousness, i love you. i am entirely grateful for your example of service, unselfishness, tenderness, and for helping me to become the person i am today. 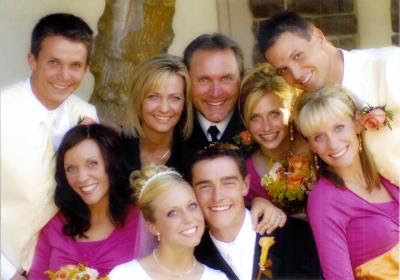 i like this picture of all of us together, so happy... i thought it was fitting for mother's day. and further, i would like to say happy mother's day to my mother-in-law, linda. i have learned and continue to learn so much from her and am ever grateful to her for trusting matthew to my care and for raising a phenomenal son (and family). love you linda; thanks for welcoming me to your family and fielding all of my quirky health questions, and i hope that you and i can continue to become good friends. 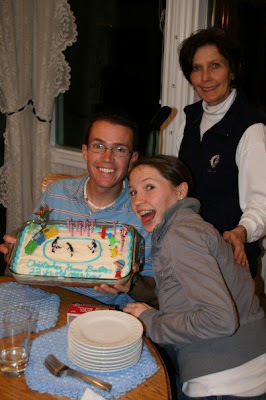 cute picture of linda and burton younglings; savanna, don't be mad, but i snitched this from your facebook; we can discuss it later. brilliant! you'll be happy to know that I got the "mom" before any explanation. :) I too love your mom and linda. phenomenal women. and you, my dear, are just as amazing! happy mother's day! you are so sweet. i hope i have a daughter just like you. and i would like to add - you are beautiful. i love the pictures. your children are going to be gorgeous!